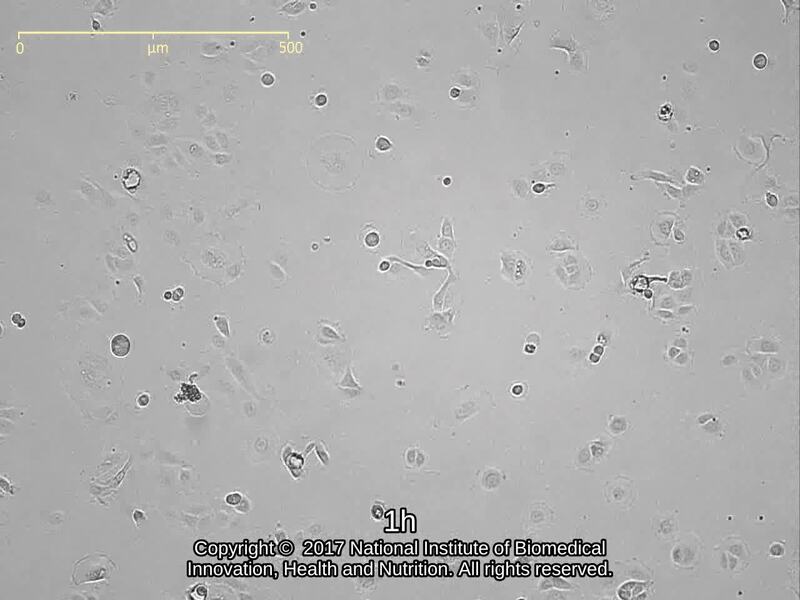 This cell line was developed by Dr. Shimada at Kyoto University. Profit-organizations (company users) are required to contract MTA (material transfer agreement) with Kyoto University prior to the ordering of this cell line. Please contact to Dr. Shimada and conclude MTA with Kyoto University. In ordering of this cell line, please send us the copy of MTA with Request and Agreement Form (Form A). In contact to Dr. Shimada, please clarify the JCRB number and name of cell line. The distribution of this cell line is limited to users in Japan. Human pancreas adenocarcinoma cell line. Ham's F12 medium + DMEM (1 to 1 mix) with 5% fetal calf serum. Cells harvested after treatment with trypsin and EDTA. Establishment and Characterization of Two Novel Human Pancreatic Carcinoma Cell Lines. Mycoplasma was eliminated with Plasmocure.